Panasonic unveils full UK 2009 Viera TV range | What Hi-Fi? 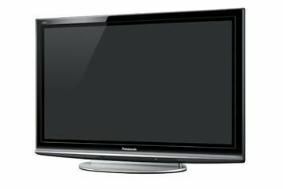 Panasonic today announced at its convention in Amsterdam that it will expand its line of VIERA series of plasma and LCD TVs for 2009. The new line-up includes plasma and LCD models in eight series – Z1, V10, G15, G10, S10, X15/X10 and C10 – with screen sizes ranging from 19 to 54 inches. In addition, the new Vieras will incorporate Panasonic's Viera Cast service for the first time in Europe: allowing the viewing of internet content from sources such as Eurosport and YouTube. it'll be available on the Z1 series, the V10 series and the G15 series. The company has also increased its Freesat offering within this line-up of Viera TVs: there'll be a total of 14 models in screen sizes from 32in right up to 54 in. The new expanded UK line-up centres around the Z1 Series, V10 Series, and G15 Series. The Z1 Series is the flagship model with a slim, fully flat, one-inch design and full-HD wireless transmission technology. It delivers Full HD, 1080p resolution and a dynamic contrast of over 2,000,000:1, while Z models are THX -certified and also feature home networking with DLNA and DivX playback. The Z1 plasma series will be available as 46in (TX-P46Z1) and 54in (TX-P54Z1) models. This has Full HD resolution and dynamic contrast ratio of 2,000,000:1, Digital Cinema Colour – said to produce richer colours –, and THX-certification. The sets are also equipped with a host of networking functions, including Viera Cast, Viera Image Viewer (enabling users to play back still and motion images from a digital camera or camcorder), Viera Link and DLNA connectivity. allowing the viewing of still and video images stored on devices connected over a network. The V10 plasma series will be available in two sizes: 42in (TX-P42V10 £1499), and 50in (TX-P50V10 £1799). The G15 Series combines enhanced networking and image-quality functions with a narrow bezel and slim design. It has Viera Cast, the Viera Image Viewer, and DLNA connectivity. The G15 plasma series will be available in two sizes: 42in (TX-P42G15 £1299), and 46in (TX-P46G15 £1499). Incorporating a host of high-picture-quality functions, the G10 Series includes core VIERA models that offer 1080-line moving pictureresolution and contrast of over 2,000,000:1 (native 40,000:1). In terms of networking, G10 models offer VIERA Link and the VIERA Image Viewer. Three plasma models will be available: 42" (TX-P42G10 £1199), 46" (TX-P46G10 £1399), and 50" (TX-P50G10 £1499). The S Series are the entry-level Full HD models with a 400Hz Sub-field Drive Intelligent Frame Creation Pro, 2,000,000:1 dynamic contrast, Viera Image Viewer, and Viera Link. Three plasma models will be available: 42in (TX-P42S10 £999), 46in (TX-P46S10), and 50in (TX-P50S10). The X10 Series HD-Ready plasmas have 100Hz Double Scan, a dynamic contrast ratio of 2,00,000:1, V-Audio Surround technology, Viera Link and Viera Image Viewer. Three plasma models will be available: 37in (TX-P37X10 £699), 42in (TX-P42X10 £799), and 50in (TX-P50X10 £999). The C10 Series HD-Ready plasmas include Viera Image Viewer, Viera Link, two HDMI inputs and a lead-free, long-life panel. Three plasma models will be available: 37in (TX-P37C10), 42in (TX-P42C10), and 50in (TX-P50C10). This year's Viera LCD models feature an IPS Alpha panel with a large aperture ratio, designed to produce clear moving pictures, high contrast, and a wide colour viewing angle. Many of the new Viera LCD models provide 800 lines of moving-picture resolution thanks to Panasonic's 100Hz Intelligent Frame Creation technology. This function detects and analyses vertical, horizontal and diagonal movements, then creates new intermediate frames. The result is said to be clear, razor-sharp motion-image playback with minimal blurring. The V10 Series has a slim design and comes with a host of networking functions, including Viera Cast, Viera Image Viewer, Viera Link and DLNA, plus Panasonic's 100Hz Intelligent Frame Creation technology. The V10 LCD series will be available in two sizes: 32in (TX-L32V10 £1099), and 37in (TX-L37V10 £1299). The G15 Series combines enhanced networking and image-quality functions including Viera Cast, Viera Image Viewer and DLNA connectivity. Only available in one size: 37in (TX-L37G15 £1149). With the advanced IPS Alpha panels, the G10 LCD series models deliver images with 800 line resolution, 50,000:1 dynamic contrast and a wide colour viewing angle. In terms of networking, G10 models offer Viera Link and the Viera Image Viewer. Two models will be available: 32in (TX-L32G10 £899) and 37in (TX-L37G10 £1049). The S Series offers entry-level, Full HD high-definition models. The S10 models have a 50,000:1 contrast ratio with Intelligent Scene Controller. All models feature VIERA Image Viewer, and VIERA Link. Three models will be available: 32in (TX-L32S10 £699), 37in (TX-L37S10 £849), and 42in (TX-L42S10 £949). The X15 Series HD-Ready LCD models use Panasonic's 100Hz Intelligent Frame Creation and features a new 19-inch model. One LCD model will be available in the X15 Series: 32in (TX-L32X15 £649). Three models will be available in the X10 Series: 19in (TX-L19X10 £349), 26in (TX-L26X10 £499) and 32in (TX-L32X10 £599). The C10 Series HD-Ready LCD models features VIERA Image Viewer, VIERA Link and a wide viewing angle. The models also feature 'eco mode' which reduces power consumption automatically adjusting the screen luminance according to room brightness and other viewing conditions. Two models will be available: 26in (TX-L26C10) and 32in (TX-L32C10).